In consultation with Elders of Australia, Steven and his son Evan believe that they have rediscovered a hidden history. They are trying to change the worldview of Australia (Ab)Original people and culture and their effect upon human development and civilization. They have written five books "Constructing a New World Map", "Mary Magdalene's Dreaming", "Forgotten Origin", "Ancient Aliens in Australia" (co-written with Daniella Cardenas and Bruce Fenton) and "Shunned" that rewrite the history of Australia and the world. Steven Strong is a secondary school teacher with a background in Archaeology and Education. He was involved in the formation of a Graduate Diploma of Aboriginal Education for the N.S.W. Department of Education, writing units on Traditional Law and Contemporary History. 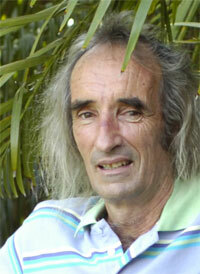 He also co-authored the highly successful "Aboriginal Australia: A Language and Cultural kit". Steven Strong discusses cancer and cannabis.